A communications consultancy focused exclusively on health, Kyne made big strides last year on the financial front. A communications consultancy focused exclusively on health, Kyne made big strides last year on the financial front. It grew revenue 25.4% to just over $4.2 million, with profitability at a robust 16%. The agency bolstered its specialty areas, including Kyne Creative, led by VP Michael Grela, and Kyne Medical Affairs, led by SVP Sadie Whittaker. The double-digit profitability came during a year of significant investment in the business, including opening offices in Los Angeles and Dublin. 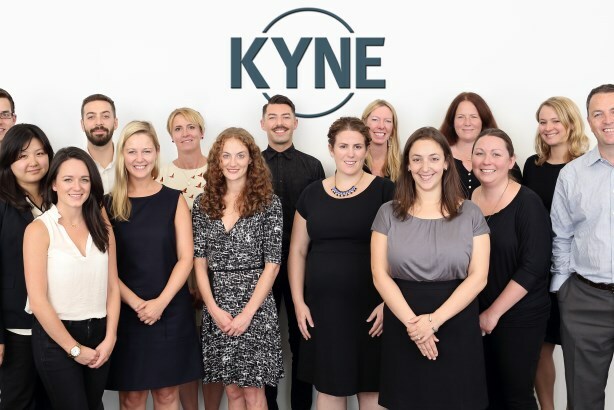 Kyne added senior leaders to manage growth and made investments in staff development and internal programs. One judge praised Kyne’s "energetic team of creative talent and the agency’s solid, innovative HR policies." To that end, Kyne offers employees a $1,000 yearly stipend and flex time to attend classes and events, matches charitable donations up to $500, offers a company-wide, off-site volunteer day, as well as eight individual employee volunteer hours. The agency offers healthy lunches and quarterly monetary achievement awards. Judges were impressed with Kyne’s commitment to battling the Ebola crisis. The agency provided in-kind staff time valued at more than $100,000 for the Africa United campaign to change behavior and deliver life-saving messages to West Africans. Kyne also managed Tackle Ebola, a coalition to sustain U.S. leadership and financial commitment that has reached nearly 200 million through monument lightings, a PSA with NBA stars, social media, and a Capitol Hill event with Coca-Cola, ONE, the CDC, and UPS. Ari De Lorenzi, head of the agency’s new policy specialty, played a key role in the events. Kyne associates also support a host of charitable programs that help victims of the Charleston shooting, orphans in Uganda, and earthquake victims in Nepal. "This firm does hugely meaningful work," noted one judge. "Kyne stands for something — global health equity. You can see it in the work — creative and passionate, yet disciplined." 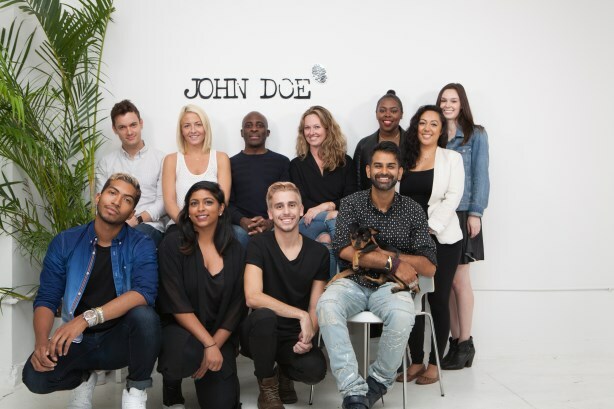 London-based John Doe only opened a New York outpost two years ago, and has already made quite the impression stateside. It launched with W Hotels and Illy Coffee and has since added work for Apple’s Beats and GM, among others. Revenue of $1.5 million represents 148% growth with profits of 26%. Despite being a startup, one judge lauded John Doe for "showing strong results and an interesting diversity of clients and work." Inclusion is important, as founder Rana Reeves advises on fostering community, while the firm partners with the Hetrick-Martin Institute, an organization that supports at-risk LGBTQA youth.